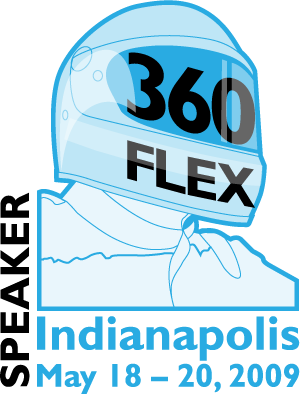 I just got word I will be speaking at 360 Flex. I’m really excited. I’ve had a lot of fun there in the past and the crowd is much more developer centric than other conferences, which makes for more interesting conversations and presentations. I recommend 360 to anyone, but especially to developers. Go register now. I’ll be presenting “Cloud computing with Flex”. I’ll talk about the services available to scale your application, but I want to focus on how you can build an app with zero server-side code. It’ll be an AIR app that stores its data on the cloud. That sounds like an awesome session. I would love to hear about it when you get back.